A parade of moose march around the edge of this Band of Moose Ceiling Light. Made in the USA. 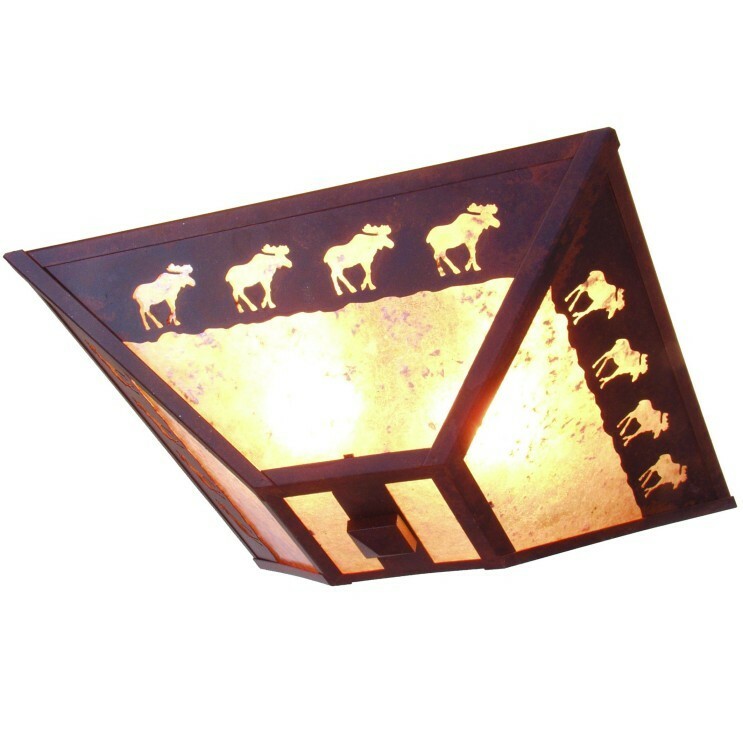 A parade of moose march around the edge of this Band of Moose Ceiling Light. This ceiling light mesures17" x 17" x 9" and uses two 60 watt regular base light bulbs. Made in the USA.